This picture is © Via Baldur Sveinsson and may not be used or published without permission. 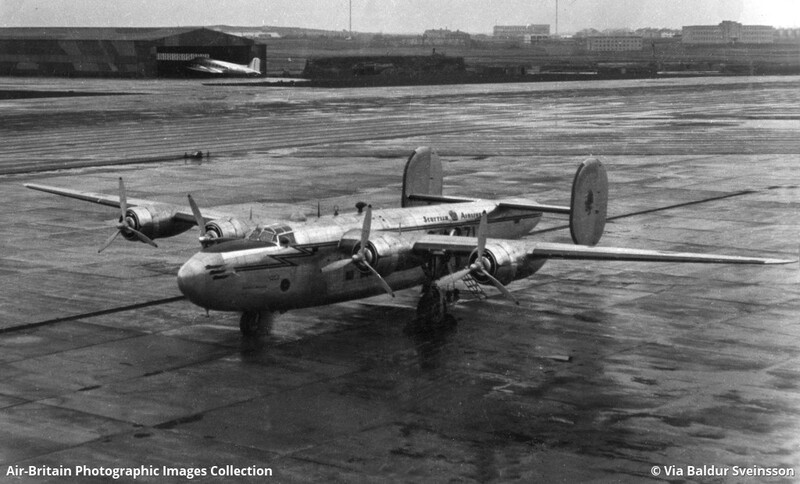 One of the Liberators that weekly flew the ReykjavÃ­k-Prestwick route on behalf of Iceland Airways (FlugfÃ©lag Ãslands) from May 1946 to April 1948. I do not know who the photographer is.